Enjoy an hour access to our private wellness space by booking directly on our website! with french croissants, fresh fruit juices, baked salmon and Champagne ! Choose this preferential rate with breakfast buffet included. Your dates are taken, and your luggage has been packed for a long time? Choose this preferential prepaid rate for an event better price. Grant yourself holidays Orchestrated as a Great maestro. Grant yourself a priviledged moment, with our Premium Offer available all year round ! Exclusively on Bulles de Paris website, book one night in our Privilege room, 1 hour access to our private wellness center, full buffet breakfast included and 2 glasses of the finest champagne offered to you! Grant yourself a festive holiday, with our Bubbles Offer available all year round ! Exclusively on Bulles de Paris website, book one night including our "Champagne Tasting-Privilege Box" with two designed champagne flutes, a bottle of Champagne Les Bulles de Paris Vintage Grand Cru, and 50% discount on our finest glasses of champagne during our Champagne bar's "Happy Hours" ! Choose this preferential rate and be amazed in a Bubble Storm! Grant yourself a total relaxation, with our Absolute Wellness Offer available all year round ! Exclusively on Bulles de Paris website, book one night including, 1 hour access to our private wellness center, full buffet breakfast, 2 glasses of our finest champagne offered to you and extraordinary discount on our Massages! Choose this preferential rate and restore your positive energy ! Grant yourself a total relaxation, with our Relaxing Parenthesis Offer available all year round ! Exclusively on Bulles de Paris website, book one night including, full buffet breakfast, 2 glasses of our finest champagne and 1 hour access to our private wellness center offered to you. Choose this preferential rate and release all your tensions! Grant yourself a real Parisian Romance, with our "Paris My Love" Offer available all year round ! Exclusively on Bulles de Paris website, book one night including, breakfast served in bedroom, 2 glasses of our finest champagne, an intriguing Lovebox and 1 hour access to our private wellness center offered to you. Choose this preferential rate and blow on the red Embers of Love! Grant yourself a delightful moment, with our Gourmet Getaway Offer available all year round ! 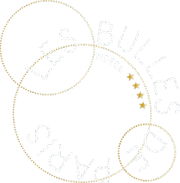 Exclusively on Bulles de Paris website, book one night including, full buffet breakfast, 2 glasses of our finest champagne during your stay and extraordinary discount on our room-service desserts ! Choose this preferential rate and delight your taste buds ! Grant yourself a delightful moment, with our "Deluxe Anniversary" Offer available all year round ! Exclusively on Bulles de Paris website, book one night in our Deluxe room including, full buffet breakfast, 2 glasses of our finest champagne to enjoy during your stay and a delightful Birthday Cake, Champagne flavour! Choose this preferential rate and marks this special day as a milestone event! In this chic and elegant setting, a vaulted cellar that is emblematic of the Latin Quarter, you'll discover great Champagne and also the opportunity to develop your palate. What's better than a Wellness Centre for a moment of tranquil pampering in the heart of Paris? Away from the Parisian hustle and bustle, you can relax in the hammam of the Hotel Les Bulles de Paris or partake of the benefits of our private Spa with sauna and steam room for two persons.